One of the most exciting promotions offered at Euro Palace Casino is the one geared towards newcomers. The welcome offer is spread over the first three deposits. The casino will give a 100% match on each of the three deposits up to $200. New players are most pleased to receive free money to play with. There are many different types of casino games to choose from at Euro Palace Casino. These include a large variety of slots, which include some exciting progressive games, along with video slots. For those who enjoy table games, there are plenty of these such as craps and blackjack. Plus there are casual games and live casino. Many quality software providers power various online casinos. Euro Palace has chosen Microgaming as their provider for many reasons. This is a software provider who is well established and has a top-notch reputation. Their games have state of the art graphics, and they are continually producing new games for casino players. For online casino players to be able to enjoy a casino to its fullest, there has to be a variety of deposit options. Euro Casino provides this with choices such as Visa, Mastercard, Visa Electron, Maestro, Trustly, iDebit, Skrill, and Neteller. Alternatives such as these make it convenient for the players. 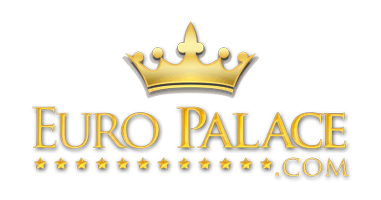 Euro Palace Casino has made sure that withdrawing money from its site is as easy as what depositing is. To do this, they offer some great choices such as Neteller, Skrill, iDebit, Mastercard, Visa Electron and Visa. Usually, the deposit method which is used is the same one that is used for withdrawals. Choosing a language to enjoy the casino play in, is another convenience which Euro Palace offers. Players can choose from English, French, Greek, Norwegian, Spanish, Italian, Finnish, Dutch, Portuguese, and Swedish. Having choices like this makes playing at the casino a much better experience when players can enjoy using their chosen language. There are undoubtedly many choices when it comes to which currency the players at Euro Palace Casino want to use, including Australian, Canadian, US, or New Zealand dollars. Also euros, Norwegian kroner, British pound sterling, Russian rubles, Swiss francs, Polish zlotys, Argentine pesos, Brazilian reals, Namibian dollars, Botswanan pulas, Mauritian rupees and Japanese yen. No matter how casino players enjoy their online gameplay, they will find that the Euro Palace Casino can accommodate them. There is the instant play accessed through the browser. Or, for those with mobile devices, they can enjoy the mobile version the casino offers. There is also a live play platform for added casino excitement. Players can utilize a variety of different options if they wish to contact the support at Euro Palace Casino. There is an option to use email which will go to the support team. Or for a quicker response, players can use live chat. Those enjoying the mobile version can use iMessage or WhatsApp.